Extracorporeal Shock Wave Therapy (ESWT) is a highly effective, non-invasive technique developed for the treatment of musculoskelatal disorders. The treatment utilizes sound waves that are delivered through the body and focused on the site of pain or injury. ESWT breaks down scar tissue adhesions, stimulates new blood vessel growth, enhances blood circulation, and promotes stem cell migration to the affected area - all of these will accelerate the healing process, allowing damaged tissues to regenerate and recover. Severe plantar fasciitis pain can cause loss of time from work and may lead to partial or total disability. Studies have shown ESWT can have success rates of up to 90% with a series of 3-5 treatments. 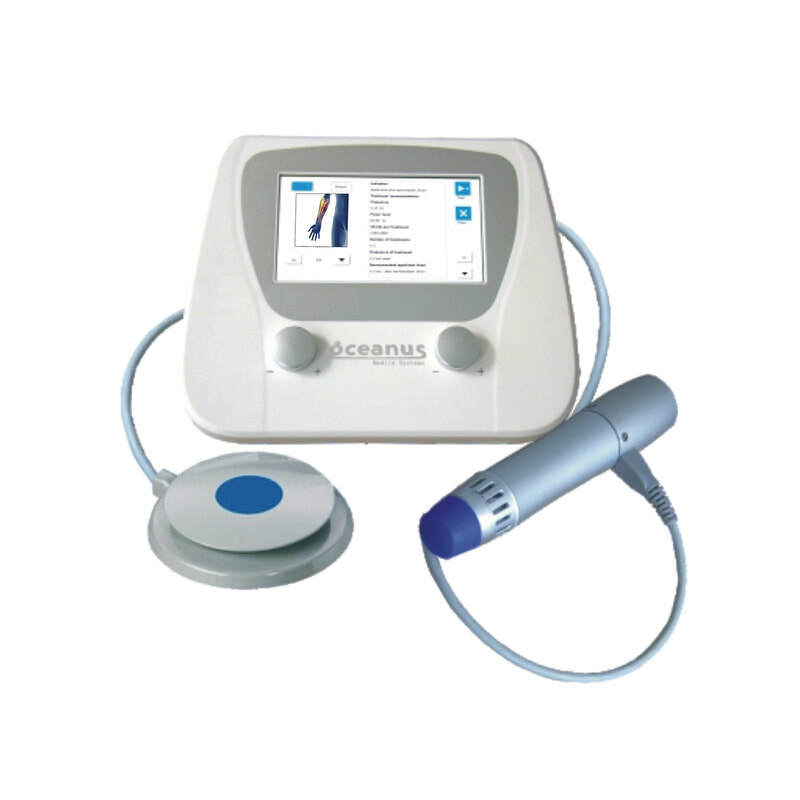 Shockwave therapy works to break up the scar tissue associated with partial healing, as well as release adhesions that have formed in the musculature of the foot. In addition, shockwave therapy has been shown to cause new blood vessel growth in the target area, supplying the healing tissue with the cells required for repair. This accelerates healing post treatment, allowing patients to get back to their activities faster. Shockwave therapy has been shown to be an effective treatment for Achilles Tendinopathy, primarily through the breakdown of scar tissue that has formed in the tendon, as well as increasing blood flow to the area though the stimulation of new blood vessel formation. This allows the body to accelerate the healing process, thereby allowing faster recovery and return to activity than traditional treatment regimes. Shockwave has been shown to be as effective as 3 months of eccentric strengthening for Achilles tendinopathy. Shin splints is a general term used to describe a painful condition affecting the shins. It is caused by a number of conditions, the commonest of these being Medial Tibial Stress Syndrome. Other causes are stress fractures of the tibia or chronic compartment syndrome. Shockwave therapy works by sending sound waves into the leg, prompting a healing reaction in the bone. The shockwaves act as an irritant upon the underlying boney tissue, which stimulates cells to begin the healing process. Many patients with chronic painful conditions have sought previous treament, unsuccessfully. Studies have shown that up to 80% of patients report that Shockwave therapy has helped them eliminate or reduce their pain. There may be a slight feeling of discomfort during the treatment and this will be dependant on the level of pain you are already experiencing in the affected area. However, most patients are able to tolerate this discomfort. The intensity of the treatment can be adjusted at any time during the session, if required. The number of treatments varies depending on the indication and tissue response. The effect of the treatment is cumulative, so you will typically need 3–5 treatments. Very often though, you will experience relief right after the first treatment. Most complaints require 3–5 treatments which are completed approximately 7-10 days apart, depending on the patient’s tolerance. Will I feel any pain after Shockwave? Most patients will experience an immediate pain relief following the treatment. However, within 2–4 hours after the treatment, they may experience some soreness in the treated area. This soreness is most often reported as tolerable and not limiting. We recommended that patients refrain from intense physical activity, especially one that would involve the treated area, for about 48 hours following each treatment session.